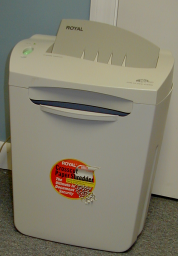 I have a Royal Orca 3500 paper shredder that seemed to be missing teeth in a gear. It would shred and then hit a spot where the motor would rev but the shredder didn't turn. So I took it apart and found that the bearing for one of the gears had worn which was allowing the gear to disengage. I showed it to Dad and he offered a couple of different solutions and then we agreed that the best would be to simply manufacture new bearings. Dad offered to do the work and I gladly took him up on the offer. The next morning at 10AM he called to tell me he had it all done. He said it went so well that it was scary. Also, he says if you have a stack of papers to shred, just put them in a bucket of water for a few days and then stir it up, strain the water off and put the sludge in the trash. Save the shredder altogher. 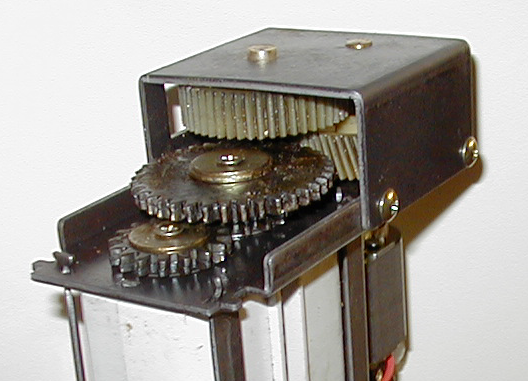 This is the shredder end plate that holds the bearings for the drive gears, and the motor. You can see the old bearing just laying on top of the plate and the new bearing installed in the plate. You can see how the old bearing is out of round where the gear shaft wore the bearing. There is lots of molibdimum sulfate grease on both of the bearings.. the lower bearing is completely covered by it and essentially not visible. The gear box assembled with the motor. 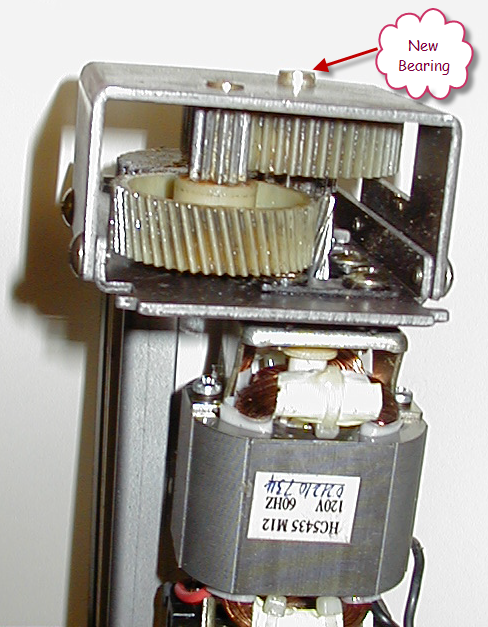 Gearbox from the back side. Motor barely visible on the front (lower right in picture). I greased up the gears, put it back together and it runs nice and smooth. 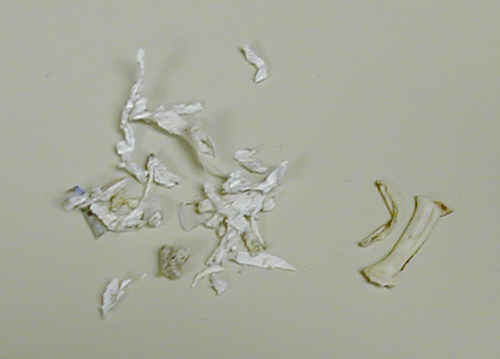 Here's some crap that he took out of the shredder section. The two parts on the right are hard plastic. Those certainly didn't help matters. I have no idea where they came from. Everyone around here pleads ignorance.